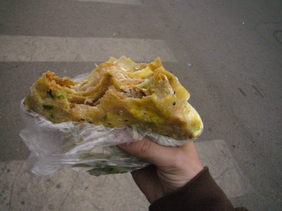 Living in Beijing - My Beijing Life: Why do you have ads on your blog? Plainly put, I've done the math. If each website visitor clicks ONE ad during each visit, I get to buy TWO street crepes! I haven't written much about street food yet - but really guys - is one click per visit THAT much to ask? Street crepes are AMAZING! Look for a more detailed post about them soon.